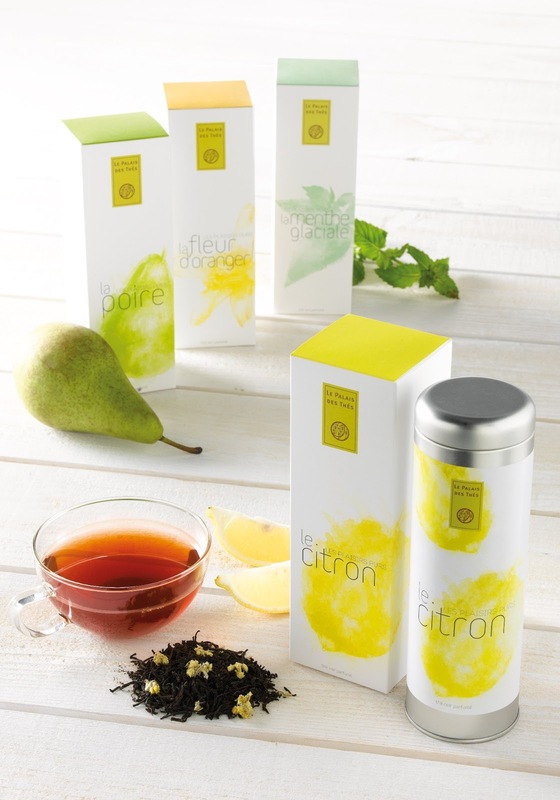 Quality French tea purveyor Le Palais des Thés has a new range of teas called Plaisirs Purs. These are are "Four exceptional blends, perfect for sunny summer days". The teas are paired with fruit, plant, and flower extracts. The company generously sent samples of each tea to try. It's the perfect time of year for these sunny, refreshing teas. I have tried the Le Citron, and La Fleur d'Oranger so far. Le Citron is the epitome of a summertime tea with a strong citrus flavor similar to lemon peel. There is smooth and bold black tea, without a hint of bitterness. The crisp lemon flavor is without the strange aftertaste I've found in many other flavored teas. I enjoyed the earthy black tea mingling with the sparkle of citrus. This would of course be a refreshing iced tea.This is a radiant cup that evokes a warm summer day. It takes me back to glasses of summertime lemon iced tea gulped after a neighborhood bike ride, or lazily sipped under a tree. The dry leaves of La Fleur d'Oranger smell so good, I'm tempted to use some in my home as an air freshener! I do admit that orange blossom is one of my most favorite floral scents. There is also a fresh orange essence, as if I had a newly peeled fruit sitting in my cup. The orange blossom fragrance became even stronger when steeped, which is quite pleasing. The tea is a delicate and mellow green, with the softness of orange blossom and a little punch of citrus. Even with the citrus flavor the overall effect is mellow and smooth. I also sniffed the dry leaves of La Poire, and it brought to mind a super ripe pear that promises a juicy sweet taste. A review will be posted soon. If you are looking for refreshing summer time teas, definitely add these to your list. The flavors are sure to comfort on a hot day. You can check the teas out online or visit on of their two Manhattan stores. I've been invited to preview a few new products next week, so stay tuned for more news about Le Palais des Thés!